Whether It’s The Back Of The Air Conditioner Or The Refrigerator, Level Wound Copper Coil Has Multiple Purposes In The Manufacturing And Electrical Industry. But What Exactly Is Level Wound Coils? Level Wound Copper Coil Or LWC Comprises Of Wound Copper Tubes That Has Been Seamlessly Drawn Out. Level Wound Coils Is Particularly Advantageous As They Are Manufactured From A Cost-Effective Material – Copper. This Makes Them Highly Flexible. The Coils Usually Weigh Around 300 Kg. Furthermore, It Has Several Advantages Such As Improved Machine Times, Minimal Scrap, And Higher Manufacturing Flexibility. How Is Level Wound Coils Manufactured? LWC Copper Tubes Is Produced By Manufacturing Industries Through A Series Of Cold-Drawing And Extrusion Operations. The Manufacturing Operation Starts With Copper Cast Billets. The Cast Billets Are Collected In A Furnace And Heated To A High Temperature Of 950 Degree Celsius. After The Copper Billets Has Been Melted Down, They Are Extruded Into Copper Tubes And Processed Further. From Here, The Cold-Drawing Operation Begins. These Operations Are Carried Out On Drawing Benches And Is Repeated Till The Desired Dimension Is Acquired. The Diameter And Thickness Of Copper Tubes Is Also Reduced With The Help Of Different Types Of Dies And Mandrels. Additional Tempering And Grooving May Be Carried Out At This Stage Based On Customized Specifications. Finally, Copper Tube Is Wound Up And The Finished Product Is A Level Wound Copper Coils. The Properties Of LWC Copper Tube Is Myriad. Copper Has Excellent Forming Properties And Does Not Require External Annealing Operations. Level Wound Copper Coil Has High Tensile Strength And Their Elongation Percentage Often Exceeds 40 Percent. Chemically, Most Level Wound Coil Is Made From Material That Is 99 Percent Copper And 1 Percent Phosphorous. 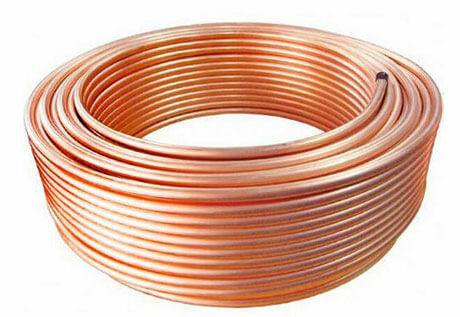 Level Wound Copper Coil Is Available According To The Degree Of Tempering Required By The Customer. Whether LWC Copper Tube Are Soft, Half Hard Or Hard Is Entirely Up To The Customer. Additionally, Level Wound Copper Coil Also Retain Physical Properties. They Possess A Thermal Conductivity Of 344 W (M-K) And A Thermal Capacity Of 0.385J (G-K) At 20 Degrees Celsius. With A Mass Density Of 8.94 G/Cm3 , They Also Have A Good Modulus Of Elasticity. Level Wound Coils Also Possess Special Qualities Such As A High Resistance To Corrosion. However, This Is Only Possible By Keeping The Coil Ultra Clean And Clearing Any Carbon Deposits On The Inner Surface Of The Copper Coil. Being An Exporter, Stockist, Manufacturer & Supplier Of Level Wound Copper Coils, We Know That They Are Multipurpose In Nature. Their Applications Cover The Entire Scope Of The Electrical And Manufacturing Industry. 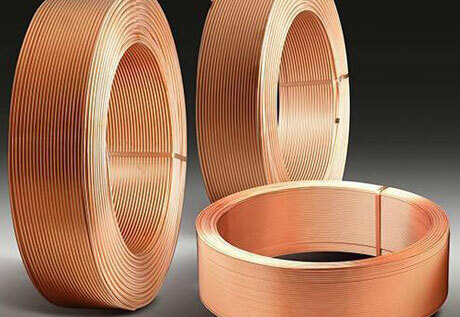 Commonly, Level Wound Coil Copper Tube Is Used In Household Electrical Appliances Such As Air Conditioning, Refrigeration, Electric Heaters And So On. They Also Serve As Vehicle Components And Machine Parts In Sophisticated Machines. Its Most Well-Known Role Would Be That Of A Heat Exchanger. We Supply Level Wound Coils To Large Industries In USA, UK, Europe, UAE, Saudi Arabia, Jordan, Australia, Canada, Iran, Iraq, Dubai, Abu Dhabi, Etc.